Cargo gets a bad rap. It either feels too structured and confining or it conjures up images of your college ex-boyfriend and his oversized, poorly fitting shorts. This season’s styles are none of this. And, us girls are taking this trend back! 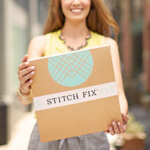 So, we’ve pulled together five ways you can breathe new life into cargo this spring. Pair a military-inspired jacket with an ultra-feminine, floral piece to create a look that’s light, airy, and perfectly on trend. Throw on a comfy, casual sandal for walks around town—the perfect vacation outfit! What’s more classic than leopard print and an LBD? 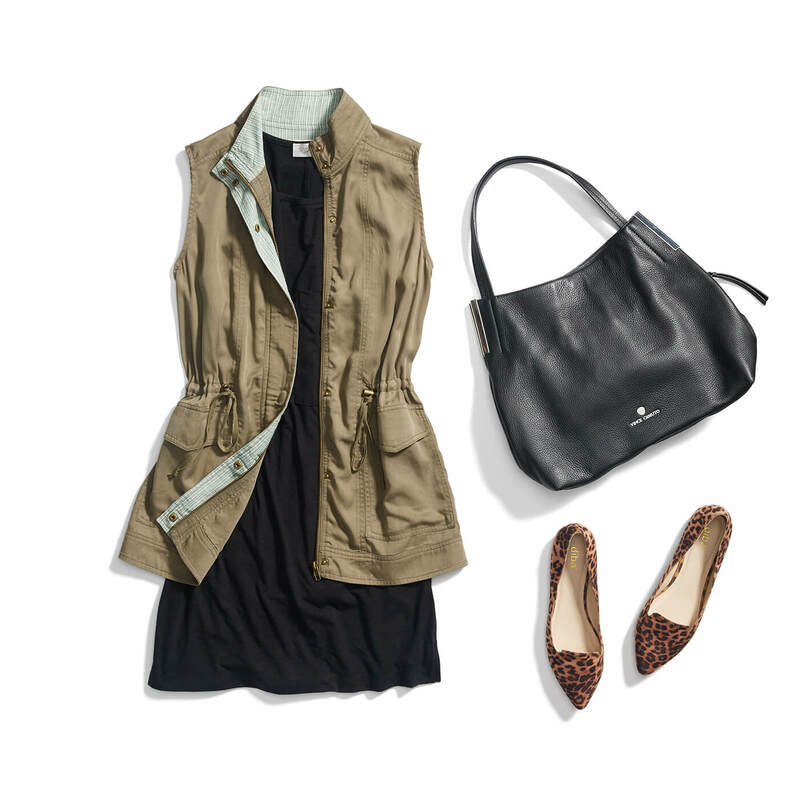 For an update to these timeless wardrobe staples, add a cinch-waist vest that elevates these everyday essentials. Accessorize with gold jewelry—like bangles and a long necklace. Stylist Tip: Create the perfect silhouette for your body shape by cinching the vest or jacket while it’s zipped up. Then, unzip to uncover the tailored-to-you outerwear. Don’t be afraid don head-to-thigh cargo—it’s dressy enough to take you from day to night. Throw on a denim jacket for a casual feel or go city-chic with a black moto jacket. Slip into heeled sandals for mile-long legs. 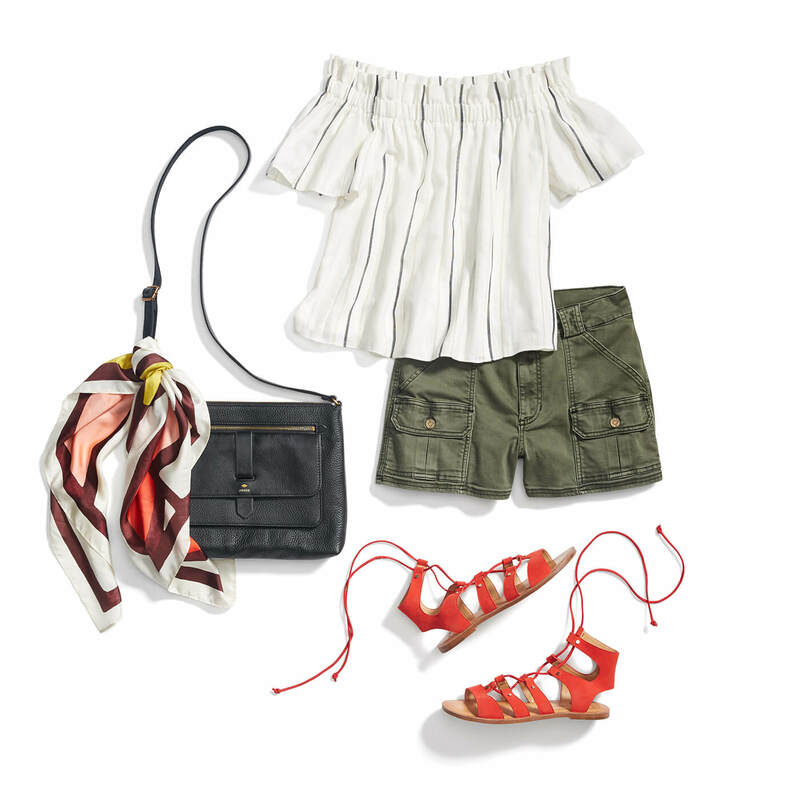 Cargo shorts go boho when coupled with a flowy, off-the-shoulder top. Add unexpected details like bright sandals that deliver a pop of color, or a silk scarf that gives a 70’s spin to last season’s choker trend. Stylist Tip: Update your tried-and-true crossbody bag by tying a neck scarf around the strap. When in doubt keep it sleek and modern. Army green pants are easy to wear and make the perfect spring-to-summer pant. Pair them with a contemporary color, like navy or blush for a fresh take on this utility trend. How do you like to wear cargo? Let us know in the comments!